And so, finally, the inevitable has come to pass. Gylfi Sigurdsson, the man who almost single-handedly prevented Swansea from nosediving out of the Premier League, and the vast riches it now promises, has joined Everton for a £45m fee. In doing so, he arrives at a Goodison Park in the throes of an apparent revolution, with the club already smashing its own transfer record three times during a true summer of madness. Meanwhile, at Swansea, the picture is very different. Three players already well-integrated within the Premier League, and all with varying circumstances that may seem them depart their current clubs, are realistic options for Clement, with the process of replacing Sigurdsson now underway. Sigurdsson combined well with Fernando Llorente at crucial junctures in 2016/17. A Swansea veteran who followed Brendan Rodgers to Liverpool, Merseyside life proved an abject failure for both men. In Allen’s mitigation, Rodgers was undoubtedly out of his depth at Anfield, but that did not stop Allen from transferring to Stoke sooner than he would have liked. Allen’s distribution, ball skills and work rate are second to none in the Potteries, but with Stoke lacking creativity up front, the time may be right for Allen to explore other options. With Swansea (as of August 19, 2017) tipped as 2/1 contenders for relegation on Bet Way Sports, his return to the Liberty Stadium would undoubtedly be well-received. Leroy Fer would be his main positional rival in that scenario, but curiously, both men were equally accomplished in pass completion, with 82% of passes finding their respective teammates last season. However, Allen created 20% more chances per game than the Dutchman in 2016/17. 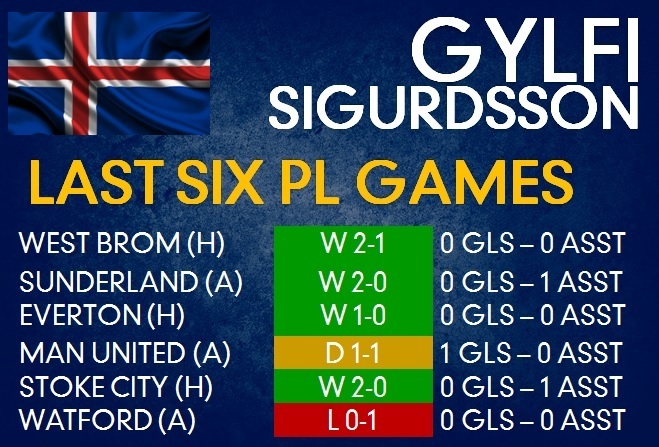 Though the forward ‘thrust’ that was provided by Sigurdsson would not be adequately replaced, Swansea could rely on possession football more effectively – if such a tactic is required, which it surely will be on occasions when time must be played out. After signing from relegated Norwich in the summer of 2016, Redmond became one of Southampton’s key assets. However, after a good start to his career on the South Coast, his teammates became increasingly out of form under Claude Puel. Ronald Koeman’s departure to Everton was a profound loss for the Saints, and the EFL Cup finalists struggled to find the net at times in 2016/17. This season, Swansea emerged from what could have been a difficult opening weekend at St Mary’s, but the Swans managed a clean sheet. Should this situation continue at Southampton, Redmond will be one of the first to depart, and may find his services put to better use in South Wales. On his day, Redmond is a potential match-winner, and he also created twice as many chances as the aforementioned Allen in 2016/17. His price tag would naturally be higher, but a failure on Clement’s part to take action soon will harm the club’s chances of using the Sigurdsson money more shrewdly and without panic. Simply put, the longer the search, the more inflated the price – for anyone. With Christian Eriksen and Dele Alli set to be Tottenham’s midfield pairing for the entire 2017/18 season, Son is likely to be little more than an impact player whose only starts come through a squad rotation system on European nights. Although an August move is unlikely, he may feel unsettled by the New Year, unless one of Tottenham’s regular midfield stars sustains a long-term injury – an event which would surely precipitate another series of starts for the South Korean international. Should he wish to depart Tottenham’s temporary home of Wembley, Son will be a wanted man by those teams expected to be in a relegation scrap. In addition to boasting a pass completion rate of over 80% last season, Son also netted fourteen goals in 2016/17 – as noted by ESPN – when afforded a meaningful run in the first team. The very definition of a hard worker, and built for pure pace like most East Asian players, Son would be an excellent addition to the Swansea squad. However, the wrong end of a table is virgin territory for him, and there is an uncertainty that he will be able to cope with the psychological pressure of carrying a team through a dogfight. Though most Swansea fans have long been philosophical about Sigurdsson’s departure, there are now less than two weeks remaining until the close of the transfer window. As such, Paul Clement must now delve deep to find another energetic and skilled link between midfield and attack. 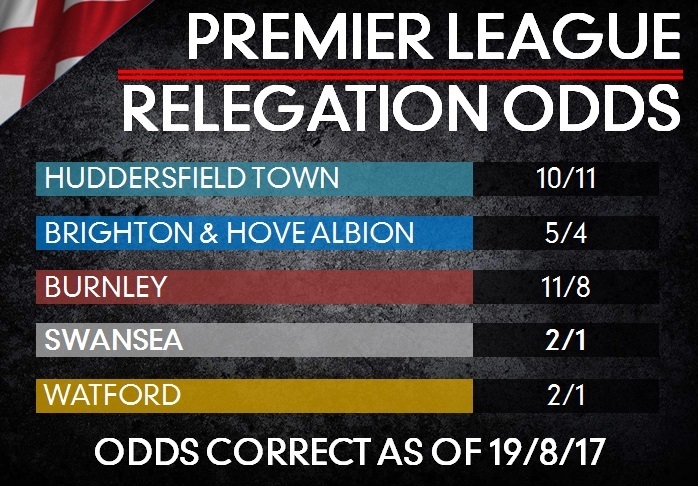 Whether this means looking beyond the UK remains to be seen, but Swansea fans rightly demand a quick and efficient reaction. From a Swansea perspective, the alternative is simply too horrific to imagine.